The screen options button provides you the freedom to hide and show various elements on your admin area. The button is located on the top right corner of different pages in your WordPress admin area. Each user who is logged in to your website will be able to see the screen options button and will be able to choose what elements to be shown in the admin area. If you run multi-author blogs, then there’s always an uncertainty that your authors might accidentally uncheck something that is important. One way to solve the issue is to disable screen options button in WordPress. You can control the admin view for all users by disabling the screen options button. So today, we will be learning two methods to disable screen options button in WordPress. Without any further ado, let us show you how you can disable screen options button using a WordPress plugin first. First of all, you need to install and activate the Adminimize plugin from WordPress plugin repository. The plugin allows you to clean up the WordPress admin area for your users. It means it hides unnecessary items from your WordPress admin area that your authors don’t need to see or use. After activating the plugin, head over to Settings > Adminimize to customize the plugin your way. Here you will be provided a list of MiniMenus. You need to click on the Global Options. Now, you will be able to see the expanded form of Global Options section. As we are trying to disable screen options button in WordPress, we need to check the boxes next to the Screen Options section. While checking the boxes, make sure you don’t checkmark the first one as it is the option to disable screen options button for the administrator. Once you’ve check marked the necessary items, click on the Update Options button to save your changes. And that is how you disable screen options button in WordPress using a plugin. You’re likely to notice that screen options button will now be disabled in different areas of your WordPress admin area. Now, let’s move on to the second method, which is disabling the screen options button manually. For this method, you need to be familiar with coding in WordPress. To disable the screen options button in WordPress from this method, you just need to add the following code to your WordPress theme’s functions.php file or a site-specific plugin. The above code will remove the screen options button for all users except for the administrator. And that’s it. 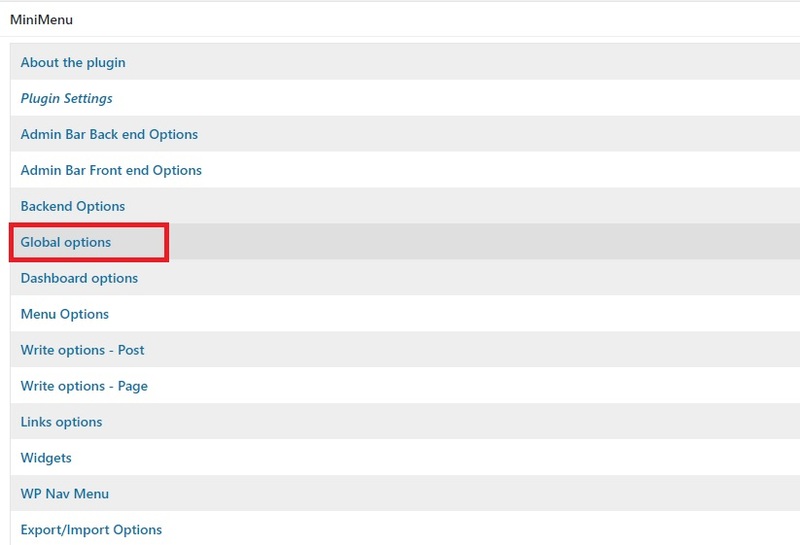 You can use any of the above two methods to disable screen options in WordPress. If you’re a WordPress beginner and are not familiar with coding, then, we suggest you use the first method. However, if you’re comfortable with adding code to your WordPress files, then you can use the second one as well. We hope the article helped you with disabling the screen options button. If you have anything to add, share or ask, you can use the comments section. ← Previous Previous post: Jetpack 5.7.1 – The new version of Jetpack Released!